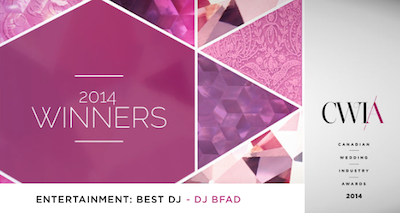 Award Winning Vancouver DJ BFAD, Vancouver Wedding DJ. 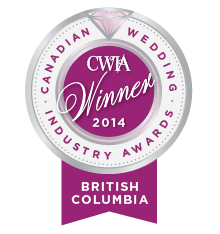 Award-winning Vancouver Wedding DJ spinning 50+ weddings every year, I would love to be a part of your special day. 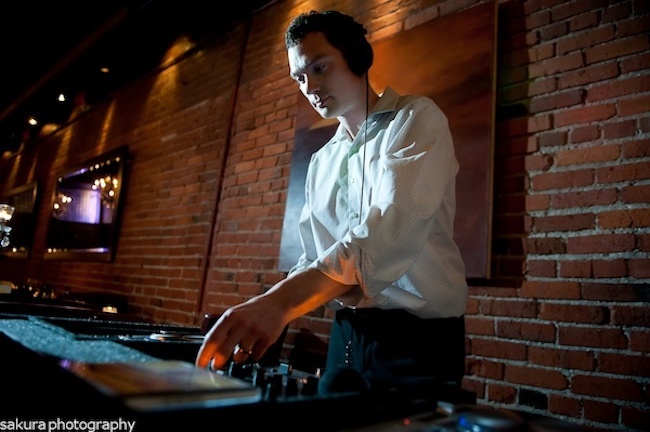 I started DJing weddings over 10 years ago. My modus operandi was simple. 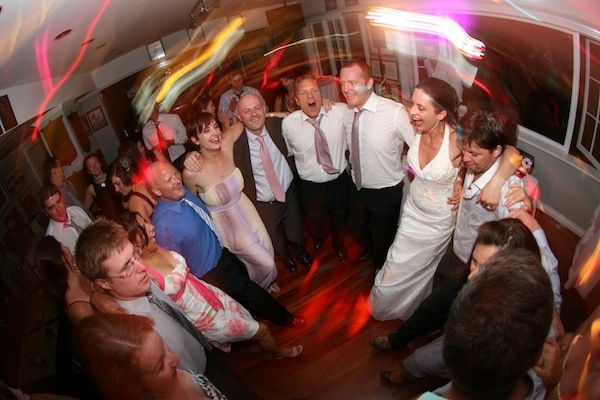 Deliver an epic party, serving up that perfect blend of music that gets all generations grooving. Hip hop, funk, pop, rock. If it gets your sister, uncle or co-worker on the dance floor I'll play it. That’s when the magic happens and memories are made. I make sure I give my blood sweat and tears for every couple, whether it's 100 people at a community hall or 400 people in Vancouver's most prestigious hotel. Every wedding must be a night to remember. Couples have trusted me with the soundtrack to the most important day of their life. And I do my best to make sure it’s everything they have dreamed of. DJ BFAD Wedding Dance Party 2017 from DJ BFAD on Vimeo. 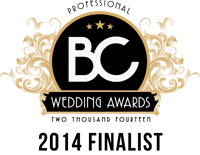 DJ BFAD, Vancouver Wedding DJ (Rosewood Hotel Georgia - June 2015) from DJ BFAD on Vimeo. Personally speaking, the DJ I hired for my own wedding was not great but this actually taught me some valuable lessons about what NOT to do when DJing. The venue where we had our reception had recommended him and I'm sure he was an amazing "house DJ" but my mother-in-law doesn't like house music, my father-in-law doesn't like house music and neither does my aunt, uncle or grandparents for that matter. Basically he didn't read the crowd and nobody danced. He didn't even have our special song ready (Van Morrison "Moondance") or any of the Cuban music I wanted to hear. 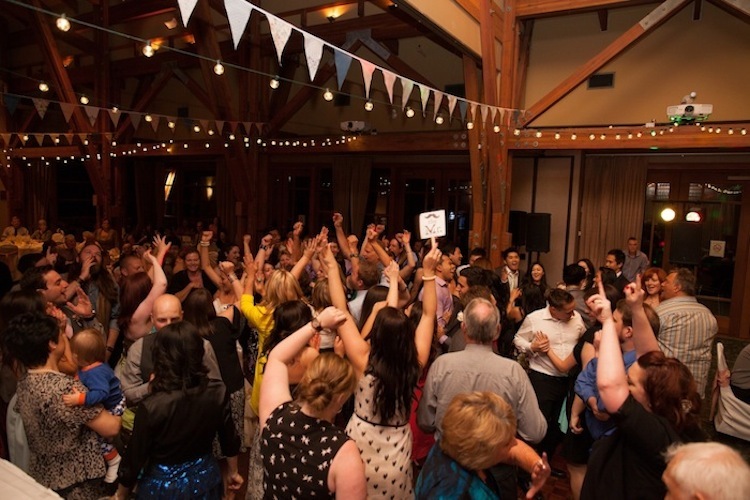 The last thing I wanted to do was tell the DJ what to play at my own reception instead of enjoying myself. Regardless, nobody should have this experience on their special day and I sincerely want people to have a good time, whether your grandparents are sitting down tapping their feet or your cousins & bridesmaids are up on the dance floor rocking the whole night away! I enjoy mixing it up and including everyone in the fun - from young to old, nobody is excluded. Before your wedding I will meet with you and find out your personal style, what's playing on your iPod and the guest demographics to give me a sense of the night you are looking for. I encourage you to pass me on a list of your favourite songs, what you listened to in college, what was playing on the radio when you first met. I always do a venue check as soon as possible - I will meet the wedding or sales co-ordinator, find out the best place to set up, where the power outlets are and even the best place to park to make sure everything goes like clockwork on the day. 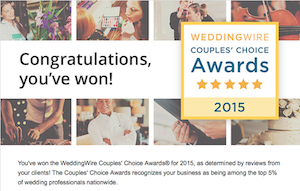 "Experienced wedding DJ + reading the crowd + playing your requests = everyone dances!"